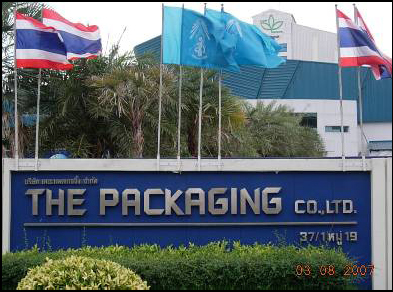 Recognizing the importance and viability of a packaging industrial business to support the national economic growth and having received promotional privileges from the Board of Investment,,the Group established the packaging company at Bangpakong in the province of Chachoengsao. The company ‘s commitment is to provide consistent world-class standard and premium quality products to a great number of customers nationwide. Our goal is to be number one in the packaging manufacturing business in Thailand. The processing plant is well equipped with the most modern machinery such as extruder imported from Germany,operated by a professional staff and through a highly technological production line.Our prime corporate objective is to develop our personnel’s processing potential,including product’s quality control and assurance of service minded care to serve our customer’s need with the best quality products.